A membership-based franchise is an excellent opportunity for investors and chiropractors seeking to own their own business. 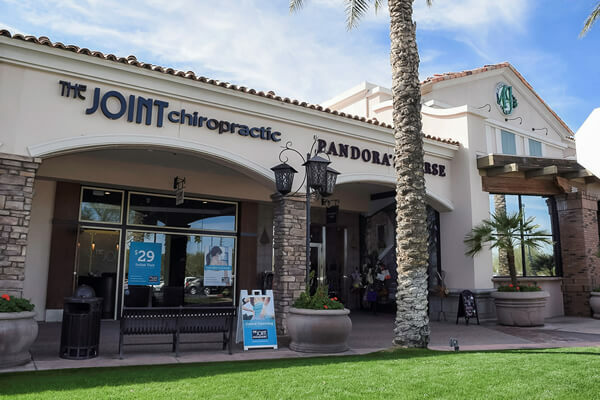 The Joint has taken the chiropractic industry by storm and risen from a small number of stores to over 380 locations open across the country in less than a decade. 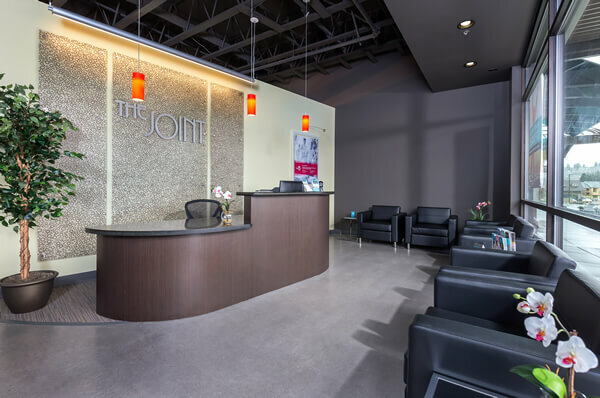 The Joint offers customers a monthly membership and low costs for basic chiropractic care — with an initial visit costing only $29. No appointments required, no insurance needed and offering extended evening and weekend hours has given an entire generation of customers access to the health and wellness benefits of chiropractic care. A proven business model makes The Joint franchise a smart investment. The Joint has been so successful as a franchise system that Entrepreneur named us the “Best of the Best” franchise in the healthcare services segment for 2016. We’re not new to praise: The same publication has included us in their prestigious “Franchise 500” list each year since 2012. Inc. named us to their annual list of fastest-growing franchise systems and Franchise Times recently recognized our franchise in the top 10 of their "Fast and Serious" list. A simple business model makes The Joint an exciting opportunity for entrepreneurs and for investors without prior medical or chiropractic experience. Why The Joint is a great business for investor-owners. At its core, The Joint is an easy-to-scale, membership-based franchise model. True, 100 percent of our care is administered by experienced and licensed chiropractic doctors, but that doesn’t mean you can’t participate in this fast-growing and potentially-lucrative business if you are a business investor who sees the opportunity. Why chiropractic doctors are choosing The Joint. In the fragmented $14 billion chiropractic industry, traditional chiropractors are often tucked away in the far corners of medical parks and office complexes. The process of scaling a business, winning new patients and delivering the kind of care studied in chiropractic school is thwarted at every turn by chasing after insurance payments (which help to make the cost of a visit more expensive) and offering services beyond the scope of traditional chiropractic care, just to be competitive. Rather than focusing on delivering quality care to their patients, chiropractors are hamstrung by hours of paperwork related to insurance co-pays. In a model like this, it is no wonder that chiropractors are rapidly joining The Joint as either doctors or franchise owners in record numbers. 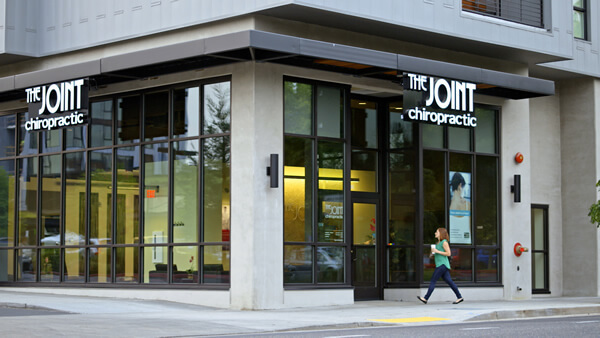 The Joint has flipped the traditional chiropractic industry on its head. The Joint has returned chiropractic care to its roots by offering only spinal adjustments conducted by hand. The business model has been shaped with ease and affordability in mind for our customers, as well as ease and profitability for our franchise owners. Our gym-like membership model not only does away with the need for insurance, but it also drives a consistent revenue stream to our franchise owners. The fact that The Joint clinics are in retail settings where walk-ins are encouraged means that The Joint is able to win new customers more frequently by being accessible to people in the places that they love to go. Want to learn more about opening your own The Joint franchise? Fill out this form to get started! 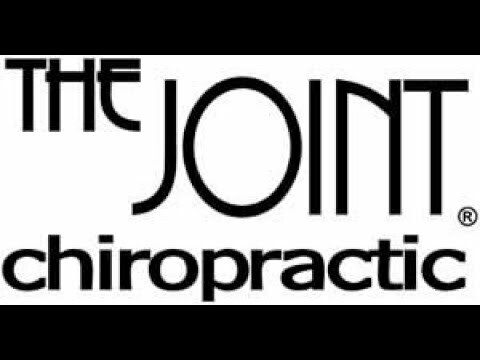 The Joint Chiropractic is currently accepting inquiries from the following states: Alabama, Alaska, Arkansas, Colorado, Connecticut, Delaware, Florida, Georgia, Hawaii, Idaho, Illinois, Indiana, Iowa, Kansas, Kentucky, Louisiana, Maine, Maryland, Massachusetts, Michigan, Minnesota, Mississippi, Missouri, Montana, Nebraska, Nevada, New Hampshire, New Jersey, New York, North Carolina, North Dakota, Ohio, Oklahoma, Oregon, Pennsylvania, Rhode Island, South Carolina, South Dakota, Tennessee, Texas, Utah, Vermont, Virginia, Washington, Washington, D.C., West Virginia, Wisconsin, Wyoming. RT @Nicole_Wight: I love chiropractors! @thejointchiro is so awesome! !